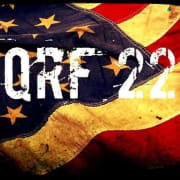 Our name - Quick Reaction Force 22 - came about after the statistic released in 2012 from the VA’s Suicide Data Report that analyzed the death certificates from 21 states from 1999 to 2011 stated that on average 22 Veterans commit suicide every day. Our plans and programs focus on financial assistance,reintroduction services including resume building and financial planning. By personally offering physical well-being exercises, dietary guidance and also hosting various group ran outings including camping, hiking and virtual meet ups we aim to directly interact with our Veterans. All of our involvements are designed to encourage and reinforce the betterment of our veterans - Quick Reaction Force is focused on doing everything possible to be there for our American Veterans. Would you recommend QUICK REACTION FORCE 22?